Brutally kidnapped and separated in childhood, Tommo and Hawk are reunited at the age of fifteen in Hobart Town. Together, they escape their troubled pasts and set off on a journey into manhood. From whale hunting in the Pacific to the Maori wars of New Zealand, from the Rocks in Sydney to the miners' riots at the goldfields, Tommo and Hawk must learn each other's strengths and weaknesses in order to survive. Along the way, Hawk meets the outrageous Maggie Pye, who brings love and laughter into his life. But the demons of Tommo's past return to haunt the brothers. With Tommo at his side, Hawk takes on a fight against all odds to save what they cherish most. 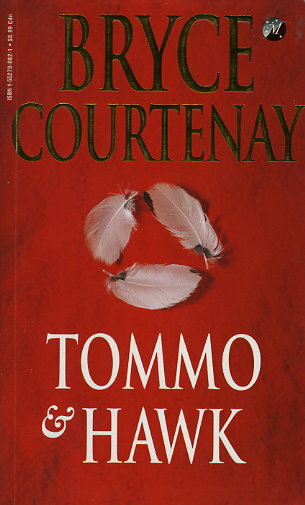 In the final confrontation between good and evil, three magpie feathers become the symbol of Tommo and Hawk's rites of passage.